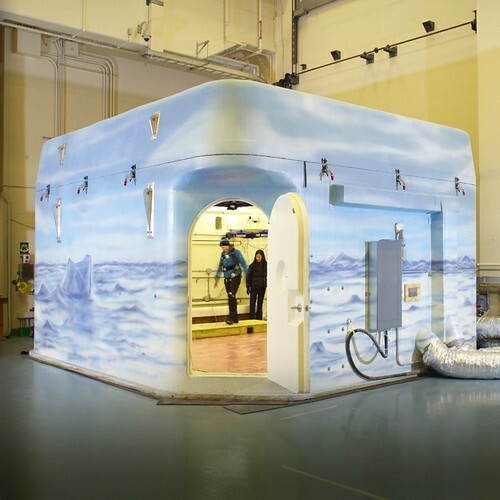 Our labs are not what you might expect. In fact, we often call them simulators. 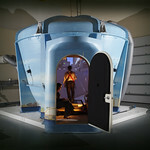 We have 6 main simulators. WinterLab, StreetLab, DriverLab and StairLab are found in the basement while HomeLab and CareLab are upstairs on the 12th floor. 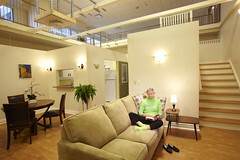 Click on the pictures below to learn more or book at tour to see for your self! 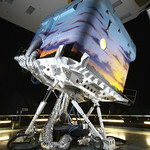 In the pictures above, StairLab and DriverLab are shown attached to the hydraulic motion platform. WinterLab and StreetLab can also be swapped on and off the platform. The video below shows a timelapse video of StairLab being swapped with StreetLab. 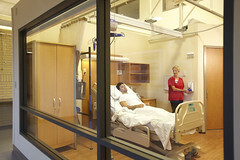 HomeLab, CareLab and FallsLab are also shown above and are located on the 12th floor of Toronto Rehab’s University Avenue site. 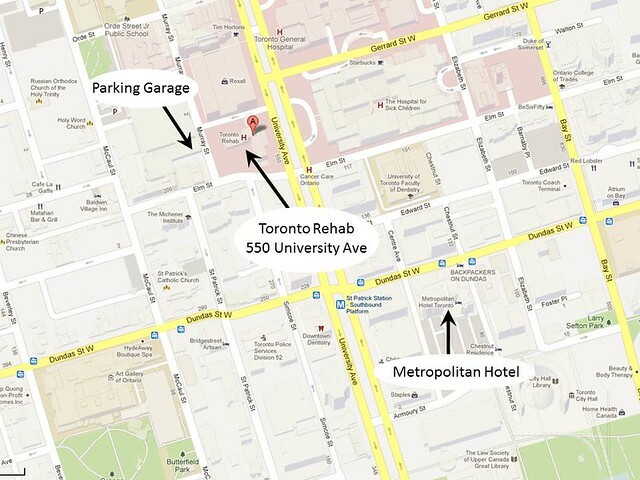 We are located in downtown Toronto as shown below along with parking and nearby accommodations for out of town guests. Click here for a Google map.